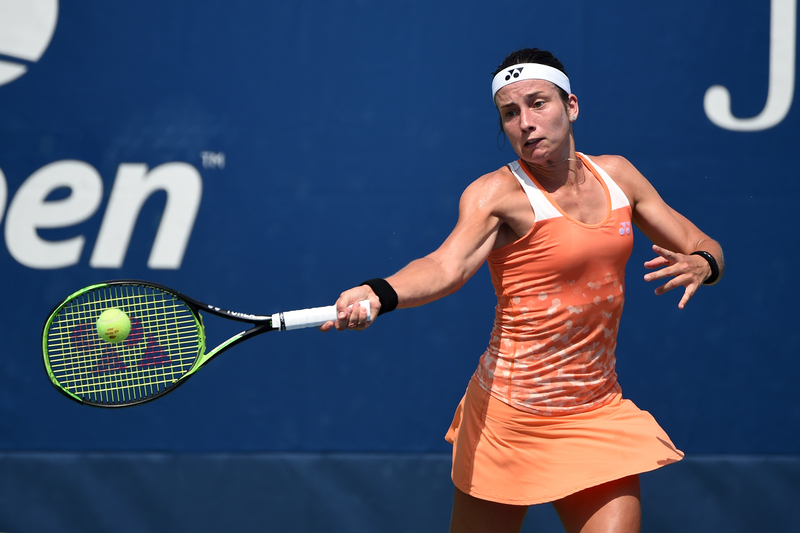 Third time’s the charm for Anastasija Sevastova. Playing in her third consecutive U.S. Open quarterfinal, the 29th seeded Latvian finally broke through to claim her spot in the semifinals, doing so in stunning fashion as she upset third-seed and defending champion Sloane Stephens 6-2, 6-3 inside Arthur Ashe Stadium on Tuesday. Sevastova saved seven break points in the 41-minute first set, and converted on the two break points she set up on Stephens’ serve to take the opener. Sevastova went up a break in the second set and was rolling at 4-1, only to see Stephens get the break back and have an opportunity to level things while serving at 3-4. But Sevastova broke right back, saving multiple game points and putting the match out of reach to go ahead 5-3. Quickly jumping out 40-0 in her service game, Sevastova had a slight lapse when Stephens won two consecutive points, but a backhand into the net from the American on the third match point brought an end to the match, and Stephens’ title defense. Into the final four at a major for the first time, Sevastova awaits the winner of the quarterfinal match between eighth-seed Karolina Pliskova and 17th seed Serena Williams.